You may be an intellectual, but you still love the dark and spooky side to Halloween. In fact, you get way into researching the history of the afterlife and the holiday’s many ancient symbols. It’s no surprise to us, then, that as you ponder your costume fate you feel inexplicably drawn to this dark and dangerous ancient deity. 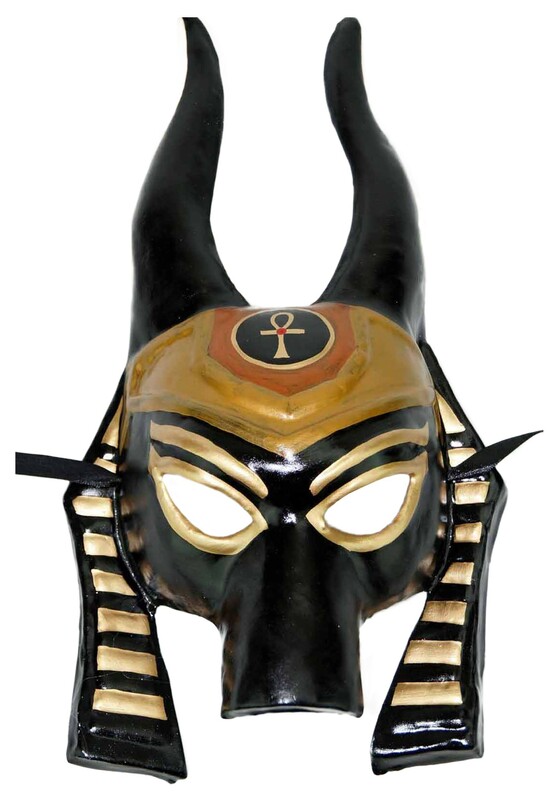 This Anubis Mask is perfect for your festivities. Anubis possessed the head of a jackal and the all-important job of guiding the souls of the dead to the underworld--after weighing their hearts to determine if they were worthy. Creepy! What better way to usher in a night that celebrates the afterlife than with a god associated with mummification and the protection of graves? We can’t think of a one! We’re even getting shivers sent forth from ancient spirits—add this mask to your Egyptian costume and you can instantly transform into your favorite powerful and revered deity, and have some fascinating party fodder, as well.